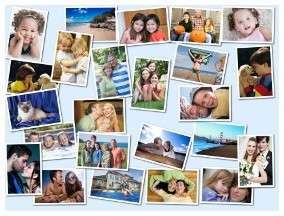 We focus on producing full-color, high-quality jigsaw puzzles of your templates, logos, graphics, or team photos. Puzzle with a stable two-part box is suitable for retail, exhibitions and fairs, competitions, training courses, brand promotion, awards. Ideal also for foundations and charities. Puzzle Clamshell is flat puzzle set packed in transparent plastic blister - the clamshell is particularly advantageous for its affordability and practical use. Cover can be opened and closed without any damage again and again. Euro hole on the top allows easy hanging on a rack or more switching units. This product is suitable as the subject of advertising, souvenir or gift item. Puzzle postcard is made up of printed cardboard backing on the back and the entire puzzle set is stored in cellophane. Each postcard set contains free elegant envelope. Suitable as a promotional gift or item, direct mail marketing.